Two cottages in one! Immaculate 2 bedroom 2 bath historic cottage in downtown Beaufort.High ceilings, wood floors,beautiful molding, gas fireplace, updated baths & more. 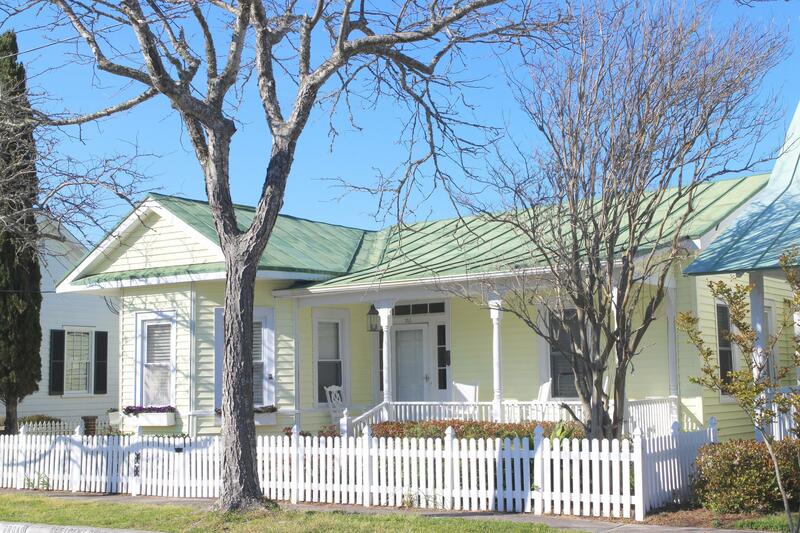 Built-ins & plenty of storage.Classic Beaufort front porch for rocking chairs, southwest breezes & sunsets. A landscaped gardner's delight, window boxes, beautiful plantings & flowers..brick paver walkway to the 684 square foot 1940's Guest Cottage in the back with potting shed, brick patio, koi pond & plenty of space for outdoor entertaining! Spacious guest house w/living room, kitchen, dining room, bath & large bedroom. Both cottages have washer/dryers. So much potential and possibilities to enjoy this property with family & friends! Walk to restaurants,shops,parks museums,& water access. Call today to preview this home!